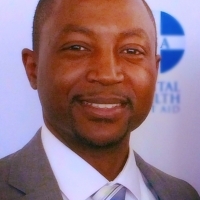 My Name is Giorgio Chatelain and I am a Licensed Clinical Social Worker in New York City with over 15 years experience. If something is interfering with your life, or causing you any level of discomfort or distress, it is worth exploring in therapy. Whether you are an individual, couple, family, an adolescent or parents of an adolescent seeking help, I consider it an honor and privilege to be included in a person's efforts to overcome any difficult situation that may arise in their life such as: Trauma, Relationship issues, Anxiety, Anger management, Child and adolescent issues, and Life transitions. My intention and commitment to you is to help summon your emotional, mental and spiritual strengths in an effort to begin the process of healing and moving forward. Giorgio is thoughtful, calm, and wise. I really appreciate his ability to offer practical solutions and perspectives, while still being mindful of emotions. Would you like to write a review for Giorgio Châtelain? We'd appreciate if you can spend a couple of minutes to write a short review for Giorgio Châtelain (LCSW-R). This review would be shared with Giorgio Châtelain. It may also be posted in our website or in Giorgio Châtelain's profile but it would be anonymous and your identity would be kept completely confidential.